Lurking on a little used side street in Westminster stands the last known remnant of a local prison and workhouse that has long since vanished. Tothill Fields Prison (or the Westminster Bridewell) was a “house of correction” for the compulsory employment of able-bodied but indolent paupers. It was situated in Francis Street — which still exists just to the south of Victoria Street — probably near the junction with Howlick Place. 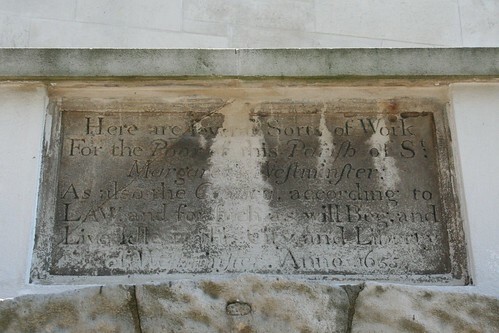 It was next to a church, which looked after orphans, so it is thought that these were probably among the first institutions raised for carrying out the provisions of the 1601 Poor Law. Although it was originally designed for vagrants, Tothill Fields was converted in the reign of Queen Anne into a jail for the confinement of criminals as well. In 1834 the original Bridewell was torn down and replace with a larger prison that stood on the site now occupied by Westminster Cathedral. Indeed, some of the Cathedral foundations incorporate the remains of that prison. Although the original prison was torn down, the doorway was saved and possibly included in its replacement. Anyhow, it survived somehow and eventually ended up being moved again in 1969 to its current home – which was at the time aptly enough, a Magistrate’s court, and now the home of the Supreme Court. 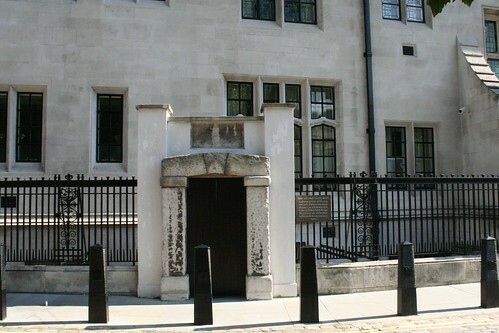 I was introduced to the door on a tour of London by @johnthecabby, who took great delight in the fact that none of us in the cab had seen it before – or that the tiny side street is a valid road for use. Sitting there rather overlooked now, the wooden doors are presumably more recent than the prison they would once have barred. Taking photos also attracted the attention of a security guard who came out to wander up and down without saying anything. You might wonder what is behind the door, which is sadly nothing at all, it is now just a facade in the street, an overlooked relic of our penal past. As also the County, according to LAW. and for such as will Beg and Live idle in this City and Liberty. Extremely interesting. I just love reading about these relics of history. Great to see photo’s too. Please mail me Stephen, we are currently looking for the same information and the same person. A descendant too. Have her husband and children..
Visit BATH Record Office online… Bath Ancestors at the Records Office. Long Amelia, date 12th April 1871 at Bath Quarter Sessons. There is a document that can be purchased. Offense Stealing… Sentence 3 months. British Newspaper Archives provides coverage of her many crimes between these two dates. I discovered my 4xGGrandmother, Margaret Radshaw, was in Tothill Fields Prison and sentenced to death in 1802.She was transported to Sydney NSW in 1804, married 1810 to a fellow convict and is buried beneath the current Sydney Town Hall.Thank you for the detailed information regarding the Prison’s history. 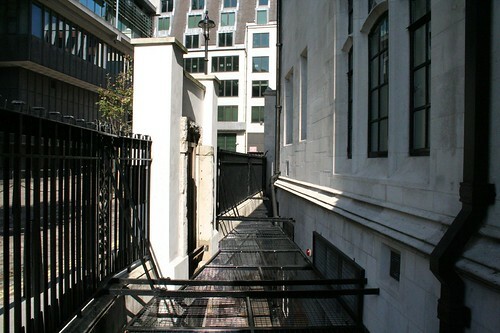 1 Pings/Trackbacks for "The 17th century prison doorway in Westminster"